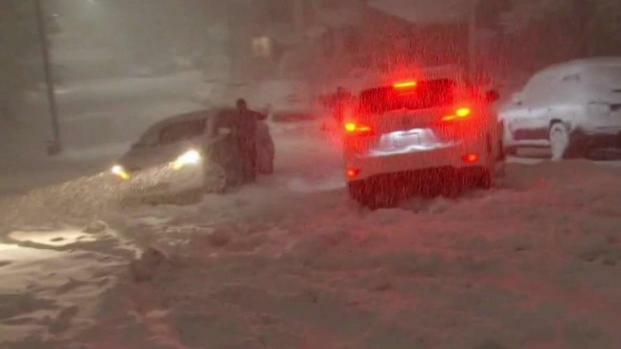 People from around New England, including Worcester, are digging out following a powerful storm that moved through Wednesday. As another winter storm started to wind down early Thursday morning, many New England roadways were left hard to navigate. The Massachusetts Department of Transportation was reminding motorists that the heavy snow could lead to travel impacts for the morning commute. Motorists were urged to monitor road conditions and make informed decisions on traveling. Since Wednesday, MassDOT deployed more than 2,700 pieces of snow and ice equipment across the state. "Our snow and ice teams will be deployed throughout the night in order to treat and clear roadways, and motorists should recognize that snowfall and travel impacts may continue into Thursday morning," MassDOT Highway Administrator Jonathan Gulliver said. "We encourage those who will be traveling to plan ahead, consider allowing extra time to reach their destinations, reduce speeds as needed, and make smart and safe decisions if heading out onto the roads." Another winter storm winded down early Thursday morning and left many New England roadways hard to navigate for the morning commute. In Worcester, where some of the highest snowfall totals were reported, drivers like Hazel Foshay had a difficult time on the snow-covered roadways. "It’s real bad if you go down — you slide. Even slide up coming up Rodney street. It’s real bad to be driving out," Foshay said. Slippery roads were not the only problem in the city. A water main break on Massasoit Road early Thursday morning caused the street to buckle and the sidewalk to cave in. Crews were called in to make repairs and had to shut off water to the area. 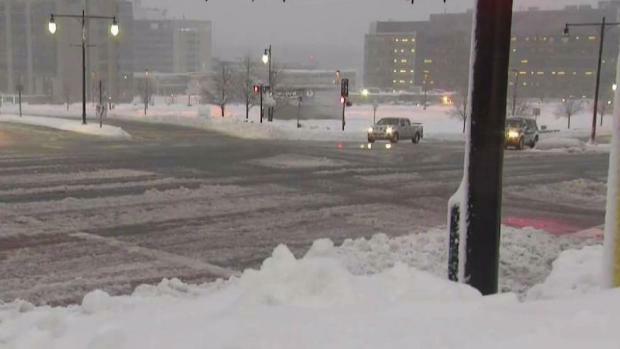 Worcester city officials have put a parking ban in place until further notice in order to keep roadways clear. In other areas of the state, downed trees, utility poles and power lines caused problems in many communities and left hundreds of thousands without power. While residents across the state dug out from as much as 2 feet of wet, heavy snow forecasters are tracking the possibility of a third snowstorm to travel up the coast early next week. 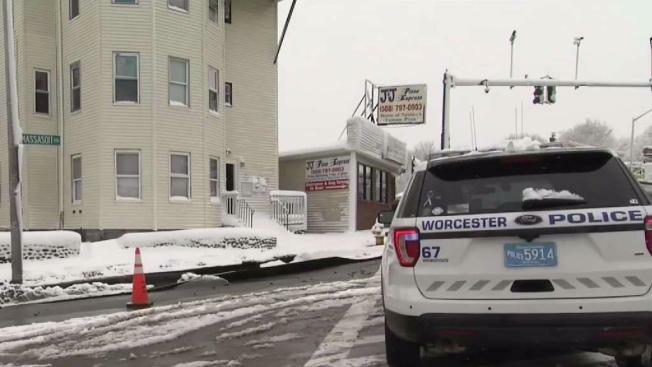 There were a number of spinouts and accidents in Worcester, Massachusetts, Wednesday night, including a near miss on Catharine Street. An NBC10 photographer captured an SUV sliding into another vehicle and was able to yell for a person standing in the way to move. "Obviously I'd expect it this time of year but I'm ready for this to be over," Worcester residnet Jaclyn Delprete said. "I think I've had enough shoveling for this year."